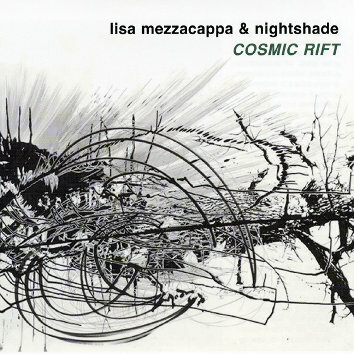 Nightshade is my electro-acoustic chamber ensemble, performing my original compositions, some great music by our clarinetist Cory Wright, and unusual arrangements (Zappa, Messiaen) inspired by the work of contemporary visual artists and filmmakers. 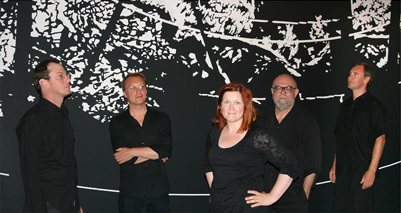 The group's musical world encompasses evocative melodies, abstract sonic landscapes and playful rhythmic juxtapositions, with influences ranging from Eric Dolphy to Olivier Messiaen to Blonde Redhead. Nightshade made its debut at Yerba Buena Center for the Arts in summer 2009, as part of the "New Frequencies" performance series, and has performed at the Red Poppy Art House, Meridian Gallery, Old First Concerts, Trinity Chapel, and as part of San Francisco Chamber Music Day.